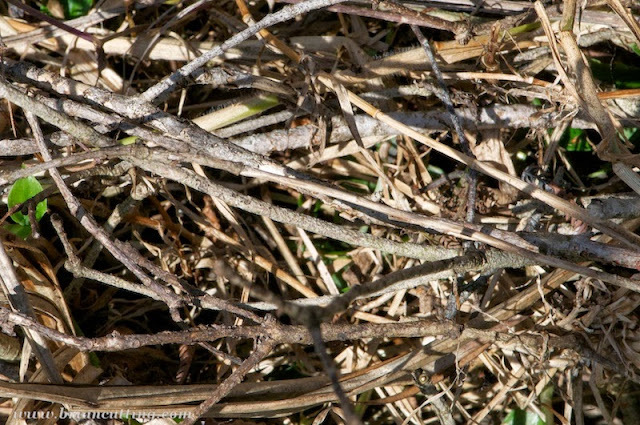 Have you heard of the Gary Larson owl-louse? How about George Bush's slime-mold beetles? 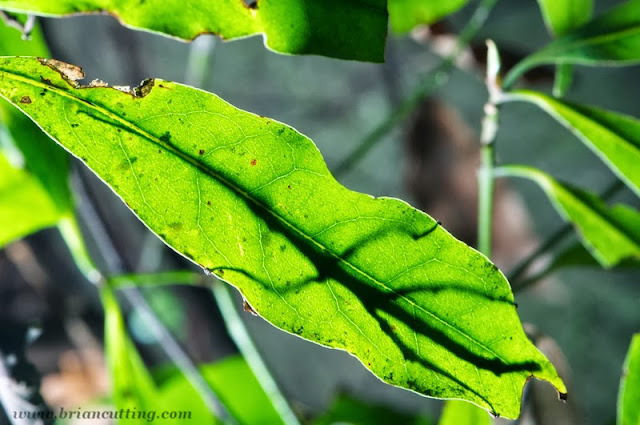 It's not common for the non-biology world to take notice of Linnaean nomenclature, but with more than 1.3 million named species on earth, there are more than just a couple of interesting scientific names out there. 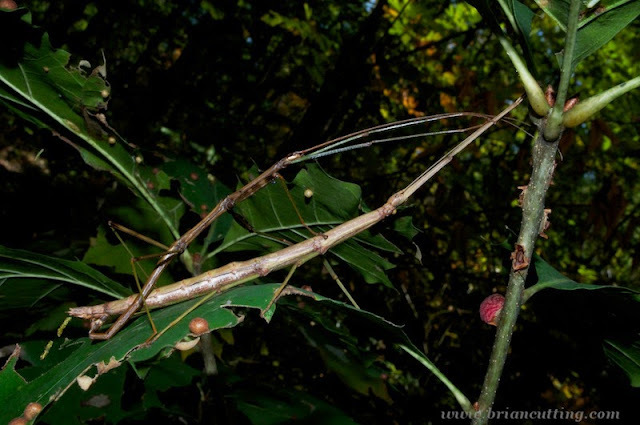 Many insect monikers communicate information about the biology of a species, for example: their location, diet, or affect on humans. Names can hold clues to physical appearance, or in the case of stick insects - their disappearance. Did you find it? 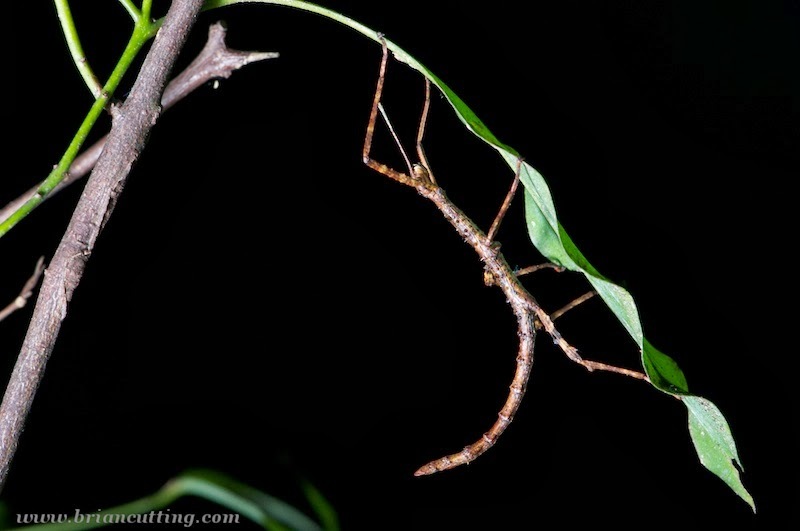 Just kidding, this is actually just a photo of some sticks, no phasmids here. The naming system can also indicate which groups are related to each other. 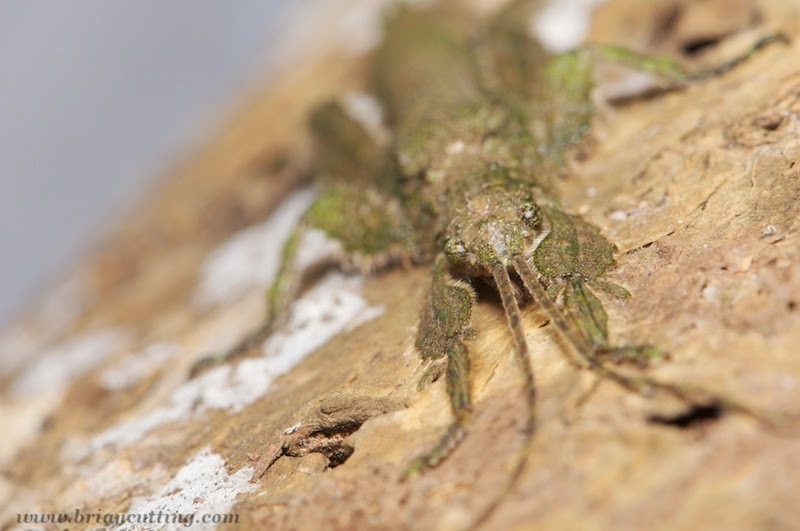 Phasmida are one of the 'orthopteroid orders' and are closely related to grasshoppers, crickets, and katydids. Other common orthopteroid groups include termites, earwigs, roaches, and mantids. Many of those have pretty good camouflage, but the stick insects really can blend in with the best of them! These are the orthopteroids you're looking for. 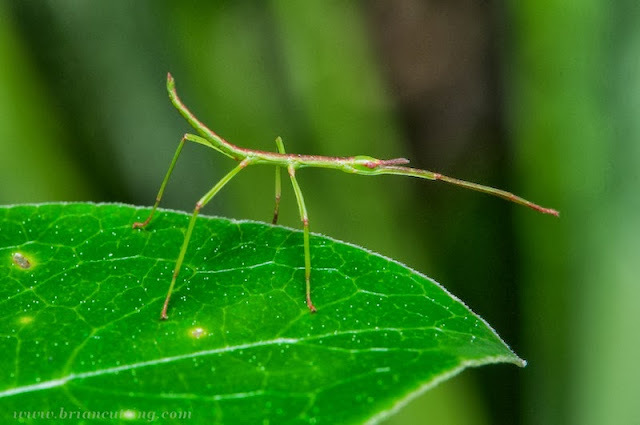 Like other orthopteroid insects, phasmids are 'heterometabolous,' their young look like miniature versions of the adults. 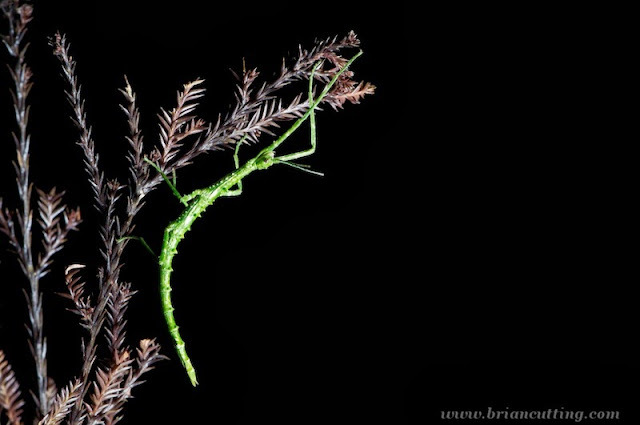 Here, a juvenile walking stick on Rangitoto Island, New Zealand.